Home	> Cafe Furniture	> New Orleans Side Chair. This particular version of the New Orleans dining chair is a fresh and clean update on the 2 tone designs. 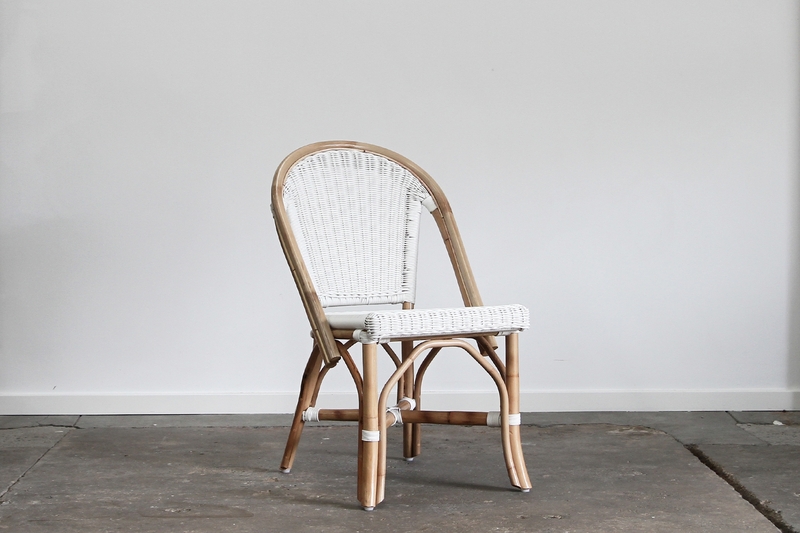 Natural Rattan frame with white round wicker weave in the back and the seat. Wicker is synthetic which means it’s durable and very easy to keep clean. Suitable for indoors or covered outdoor venues. Available to order in a range of colours including black! Material: Rattan frame with synthetic wicker weaving. 600 d x 510 w x 920mm high.